First of all Happy Independence Day to my fellow countrymen! I've been missing a lot of June 12 related activities ever since we moved out of Manila (our area was one of those that host events for this occasion). I even checked online sites if there are some activities in a nearby place, but I ended up spending my entire day inside the mall with one goal in mind: to watch Superman's latest movie: Man of Steel. I know this is not something Pinoy (for today my lunch was bagnet and dinner was pansit though haha!) but I am really a big fan of this super hero. 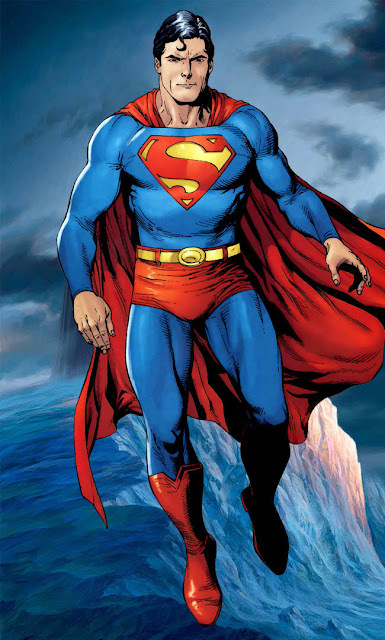 I've love this character may it be Christopher Reeve, Dean Cain, Tom Welling and Brandon Routh. And I have been waiting for this movie for 7 years already. I initially planned on watching it in IMAX like what I did way back 2006 for Superman Returns. I remember that it was my first ever IMAX movie and that the 3D portions were just segments, which was 20 minutes in total. But when I called this morning, only the first row seats were left for all IMAX schedule at Mall of Asia. So I settled for 3D in a nearby mall. All three colors of his costume are present in our flag! The movie was 2 hours and 30 minutes in length and as expected of a super hero movie, it was action packed and the technology they use for the graphics just keeps getting better and better. I won't spoil those people that have not watch the movie, but after watching it, I had this mixed feelings about the story. There's just this one plot that they changed and I think it made the entire difference to me. But all in all it is still good. I'll watch it again on Sunday as a matter of fact. Regarding the main man Henry Cavill, I still need to sink it in that he is now the new Superman (sorry, but for me Brandon Routh was like the reincarnation of Christopher Reeve, even in terms of voice). But since I saw his transformation physically from the photos, maybe he can pull this one off. He did a good job portraying the character actually, although the no-shaving-for-days look did not work for me (made me think of what they did to Batman in Christian Bale's films). Anyway, I am currently watching some of his interviews since I heard his British accent on TV. And I think he is one amazing guy! He looks so humble and a gentleman to every person interviewing him. I might try to watch his other films this weekend. Hope you do watch Man of steel in theaters. Feel free to comment below regarding your thoughts about the movie. Have great day everyone!